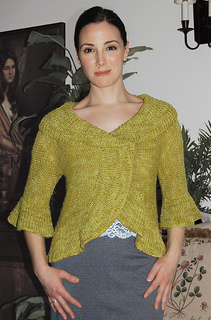 This cozy shrug may be casually draped or pinned for a more dressy occasion. 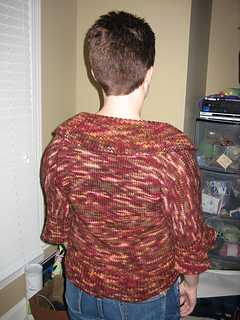 Worked in one piece, the fitted shoulders are created with short rows. 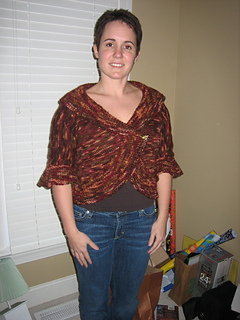 Body of shrug is worked in reverse Stocking stitch and deep ruffle edge is worked in one piece in rib on a circular needle.